Yes, it's like "Uber for farmers markets." A new startup is making it easy for customers to shop their local family farmers - right from their homes. The service launched this past Monday and currently serves customers in New York, New Jersey, Pennsylvania, Massachusetts, and Connecticut through 30 small and medium farms who have “virtual farm stands” hosted by the company. The farmers, on their end, don’t have to leave home or deal with wholesalers and have the opportunity to sell to any customers who live within a 300-mile radius of their farms, says Ana Jakimovska, the founder of Wildkale. Here’s how it works: As a customer, you go the website and plug in your zip code. All the farms working with WildKale near you pop up. You then pick a farm (or farms) and order from an a la carte menu. Your purchases arrive via UPS within 24 hours. There’s a $30 order minimum and a $5.99 flat shipping charge. Customers get fresh food from local farms without having to subscribe to a service, join a CSA, or even leave their house. It’s basically as simple on the farmers end: They get an alert from Wildkale on their smartphone that tells them there’s a new order, provides a printable order list and UPS packing label, and even contacts UPS for them. 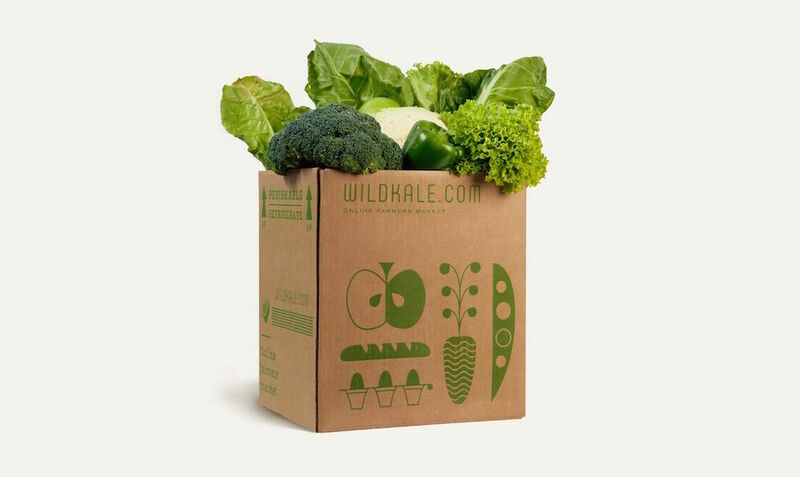 Wildkale also provides the farmers with shipping materials, including a compostable package for refrigerated items made from recycled jute, a type of plant fiber. WildKale takes a 25 percent cut from each order. Jakimovska says this is on par with what a farmer would typically spend selling at a farmers market once things like fees and transportation costs are considered. Wildkale subsidizes the shipping costs, maintains the site, and pays all the credit card fees, which she considers a fair deal. “We wanted to make sure the farmer gets paid the full retail price – the price they’d get at the farmers market – without having to spend that time away from the farm, hire someone to man their booth at the farmers market, or worry about transportation costs and waste,” she told Modern Farmer. Wildkale works with small and medium-sized family farms that use sustainable practices, whether it be organic or certified natural growers, or folks who aren’t certified but don’t use conventional farming methods. Jakimovska personally knew many of the farmers before the company’s launch. She’s been buying from them for her restaurant Kaffe 1668, which has three locations across Manhattan. Being from Macedonia, she grew up eating fresh, local food and brought that mindset with her when she moved to the U.S. For the other farmers, she’s actually gone to door to door, or perhaps more accurately, farm to farm, to get them involved.